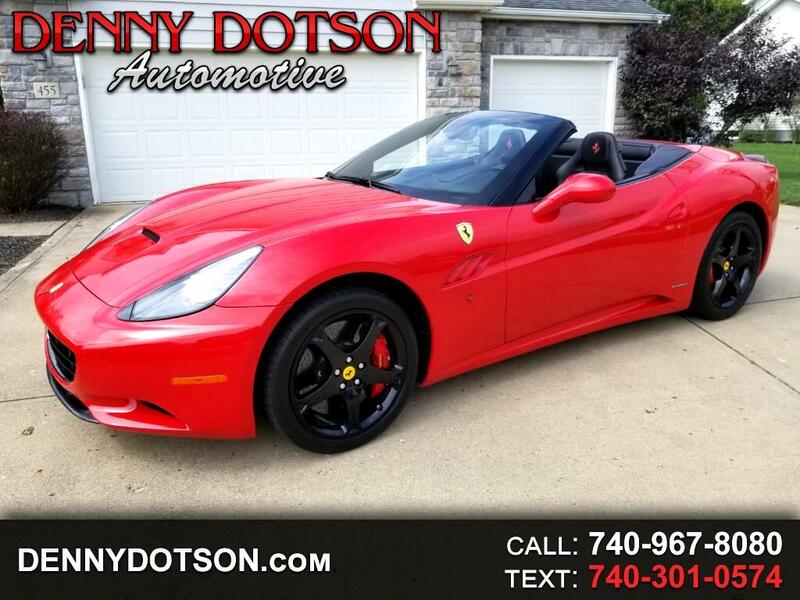 Used 2012 Ferrari California Sold in Johnstown OH 43031 Denny Dotson Automotive Inc. This is one gorgeous California with a huge original MSRP!! 2012 with only 10K miles. Window sticker was $263,537. That's almost $70K in options!! Clean history with no accidents and no stories. Options include: red brake calipers, carbon fiber driver zone/LED, carbon finish for upper area, carbon fiber central bridge, carbon rear molding, front wing in carbon, Ferrari IPOD, Scuderia shields, magneride dual mode suspension, in/out elettr mirror/homelink, front and rear park sensors, black external A pillars, red rev counter, and carbon ceramic brakes. Has a remote controlled $10K Capristo Performance Exhaust. Complete with all of the books, manuals, tools, keys, and original window sticker. As nice as they come.